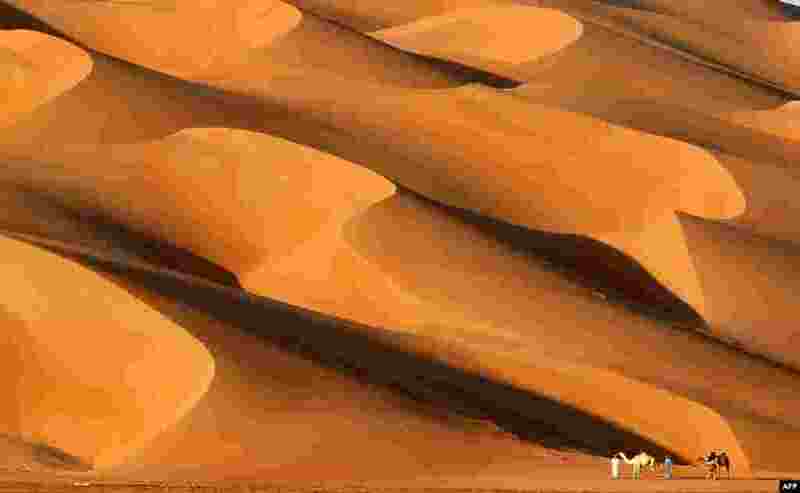 ١ Emirati men walk with their camels across the Liwa desert, some 250 kilometers west of the Gulf emirate of Abu Dhabi, during the Liwa 2017 Moreeb Dune Festival. 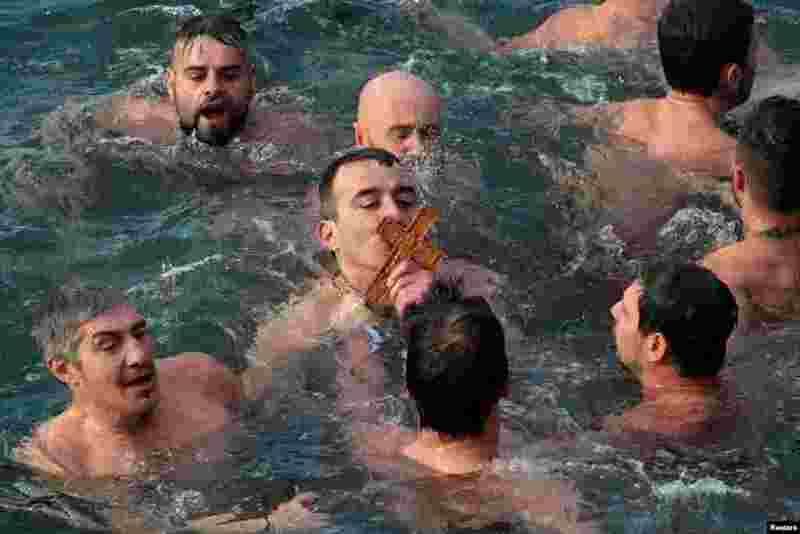 ٢ An Orthodox faithful man kisses a wooden crucifix during Epiphany celebrations in Thessaloniki, Greece. 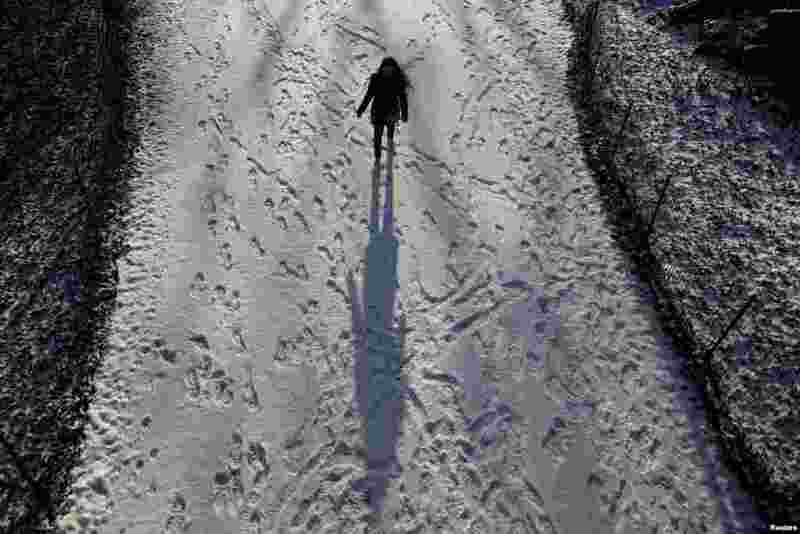 ٣ A woman walks in a snow covered path at Central Park in New York. ٤ Young Buddhist monks participate in a special religious teaching prayer attended by the Tibetan spiritual leader, The Dalai Lama during the Kalachakra event at Bodhgaya.